The Celtic Knot Version of our Faith Collection Irish Wedding Bands. These high quality stunning Celtic rings are inscribed with the ancient Ogham script, the Celtic Alphabet, with the word FAITH. An ideal Irish ring for wedding, commitment or even friendship. Each Irish ring is comfort fit, ensuring a smooth feel when on your finger. 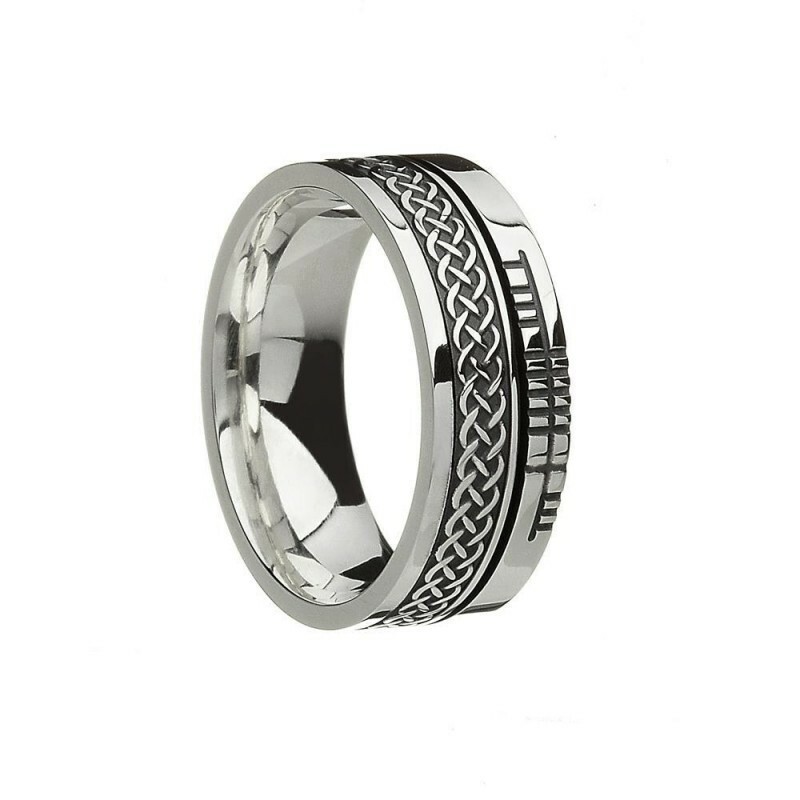 The Celtic design detail is sharp and the design is available in a variety of metal types and colour combinations. The ring is a unisex design, with a standard florentine finish on all versions except the silver, which is antiqued. Designed by Boru for you to wear for a lifetime.